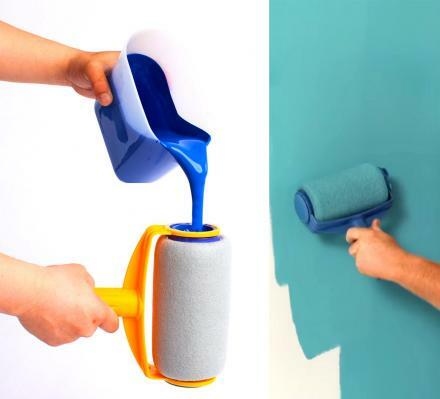 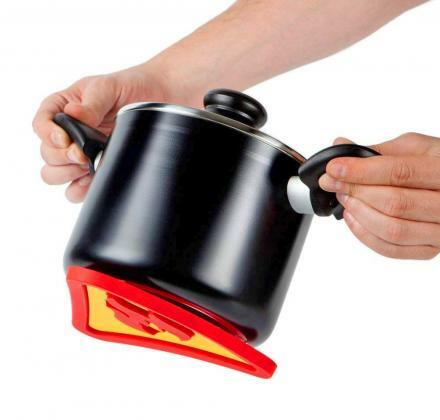 If you happen to have troubles reading the side of a measuring cup, or have issues with your eyesight that prohibit you from reading lines, this auto-measuring cup might be for you. 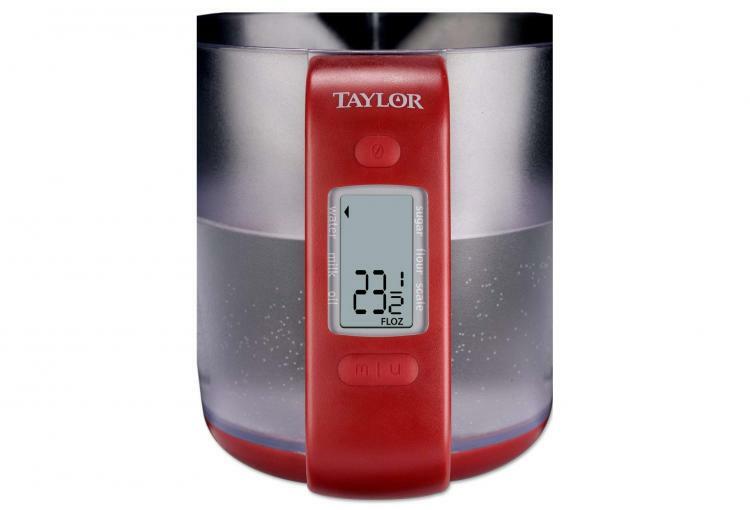 The Taylor digital measuring cup will not only tell you how much flour, sugar, or water is in your cup, but you can also use it as a digital scale to measure the weight of certain foods as well. 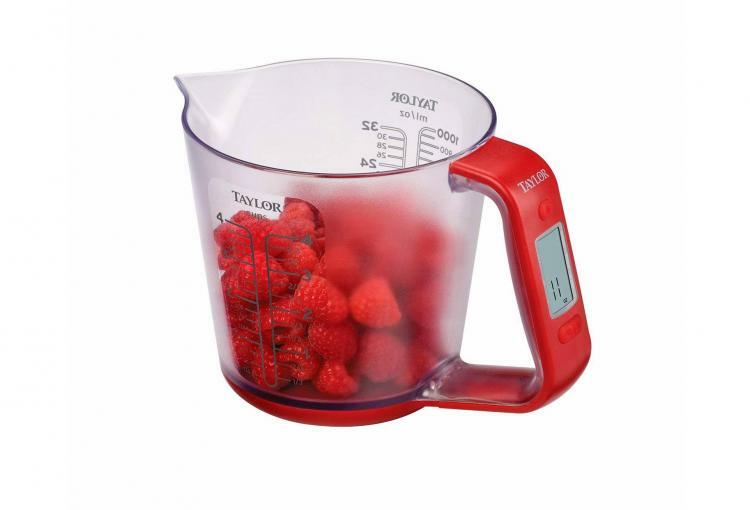 The digital measuring cup and scale is the perfect addition to any kitchen where there's someone looking for exact measurements of food for extra-precise ingredients while cooking. 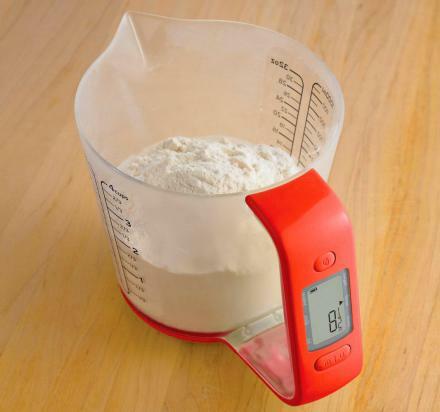 The digital measuring cup allows you to get precise readouts of volume and weight measurements without having to hold the cup up or bend down. 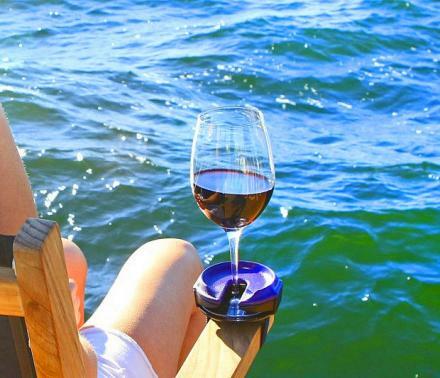 The digital measuring cup and scale has a built-in LCD screen right into the handle that shows you the exact measurements of what's inside the cup. 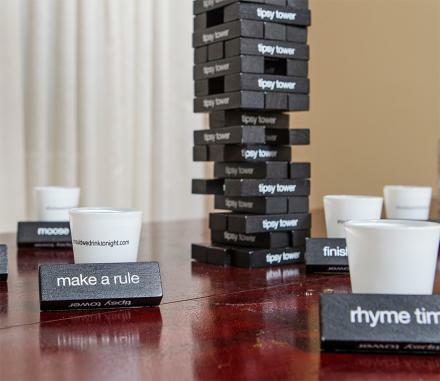 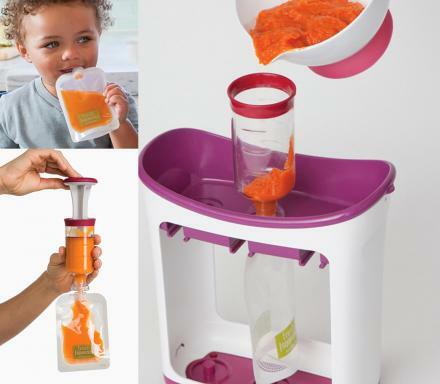 The cup will automatically convert 5 preset ingredients (sugar, flour, water, milk, and oil) from ounces (weight) to cup (volume). You can use the auto-measuring cup to measure your ingredients in any kind of measurement including lbs, ounces, grams, cups, fluid ounces, and milliliters. 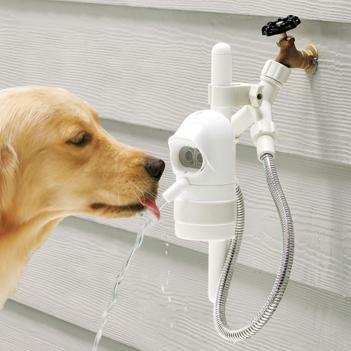 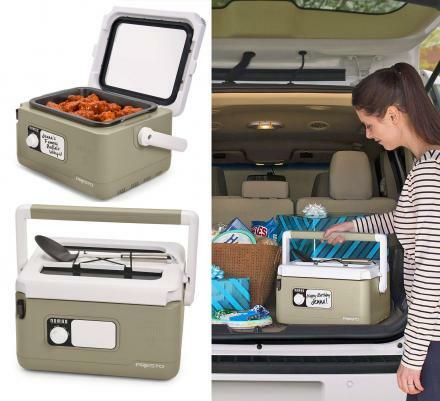 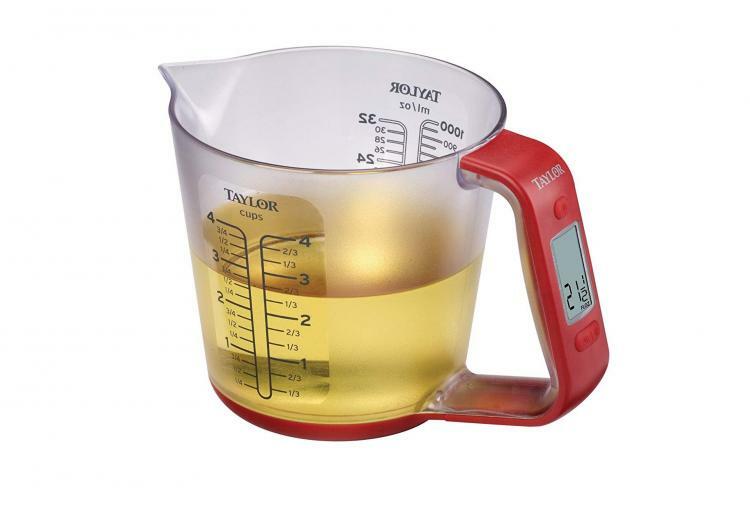 The scale on the measuring cup is extremely useful for measuring meats, poultry, and fish. 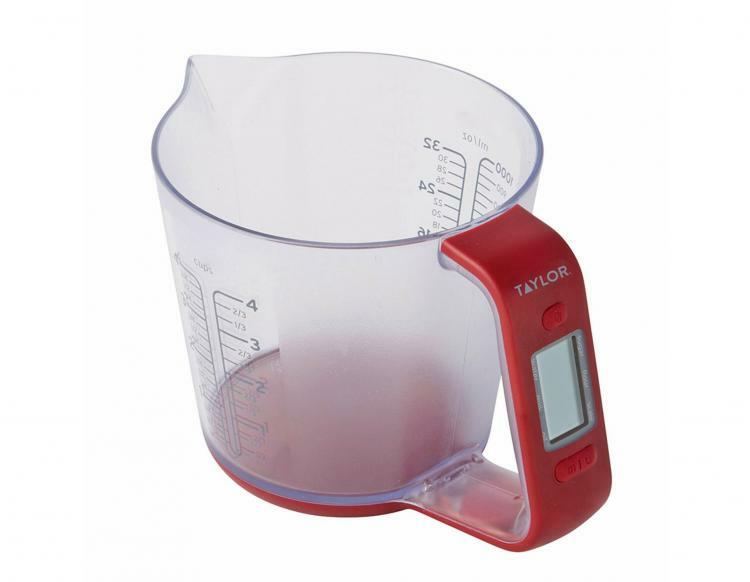 Other features of the digital measuring cup include a tare/add function that allows you to add and measure multiple ingredients separately without having to empty the cup, a low battery warning, along with an auto-off function to save on battery. 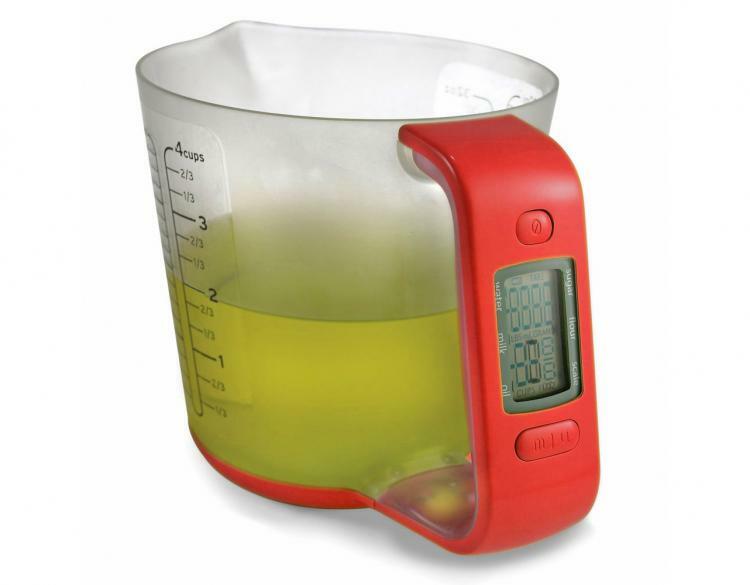 The digital measuring cup is powered by an internal CR2032 lithium battery that is replaceable, it's red in color, should be hand-washed only with warm soapy water and air-dried, it comes with a conversion chart, has a max volume of 4 cups or 32 fluid ounces, and offers accuracy and technology all in one handy measuring cup. 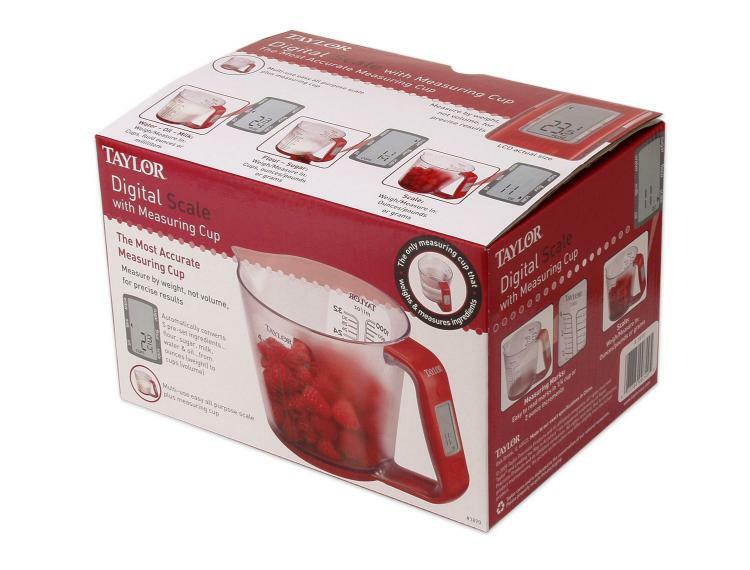 Check out the Taylor digital measuring cup with built-in food scale in action via the video below.